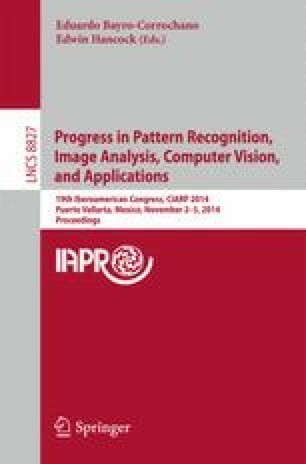 This paper describes a fast image segmentation approach designed for pavement detection in a moving camera. The method is based on a graph-oriented segmentation approach where gradient information is used temporally as a system of discontinuities to control merging between adjacent regions. The method presumes that the navigable path usually is located at specific positions on the scene, and a predefined set of seed points is used to locate the region of interest. The obtained results shown the proposed approach is able to accurately detect in an inexpensive computation manner the navigable path even in non-optimum scenarios such as miss-painted or unpaved dirt roads. Validation was conducted using a dataset with 701 samples of navigable paths, presenting a very high precision for real-time applications.